Information about what our services are like and about upcoming Sunday Services appears in our drop-down menu. Worship Associates are volunteer members of the congregation who lead some of our Sunday services or assist the minister or another worship associate with Sunday services. Worship Associates work as a team, filling in for each other as necessary, and assisting the minister and each other with ideas for readings, poetry, or sermon topics. 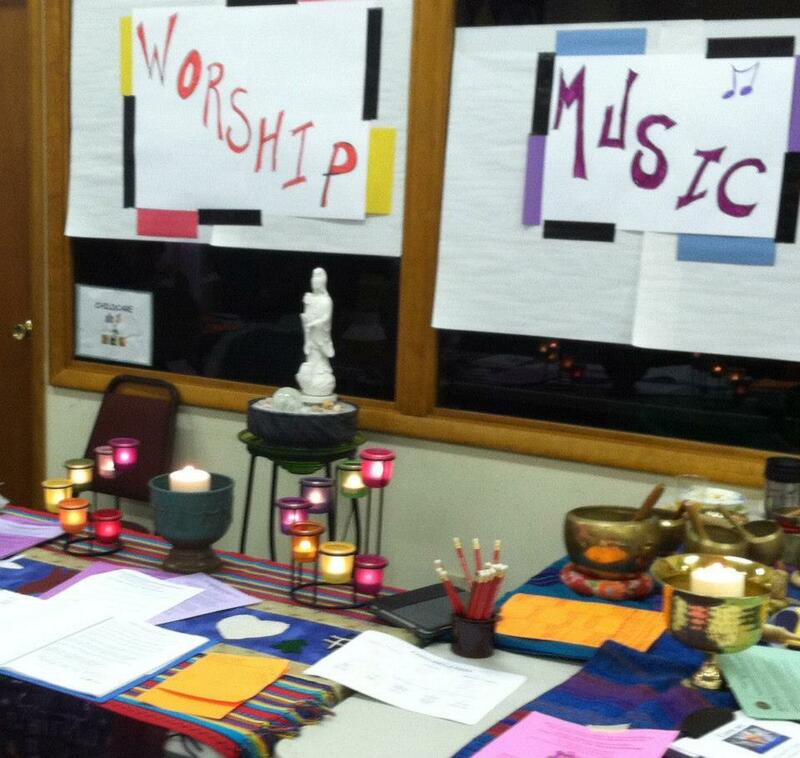 If you are interested in becoming a Worship Associate, please contact the Minister or Office Manager. If you would like to join the UUFD Choir, you can contact the Music Director and plan to attend a rehearsal. Choir rehearses on Sunday morning prior to the church service at 9 AM. If you would like to provide special music for some Sunday service, please contact the Music Director for that as well. We enjoy all types of music and are welcoming of all levels of musicianship. The Worship and Arts Committee encourages all members and friends to contribute their musical or other artistic talents in any way that contributes to spiritual life of the UUFD community. See an example of one member's artistic vision for UUFD here. Contact the Minister or the Music Director about your interests and ideas.